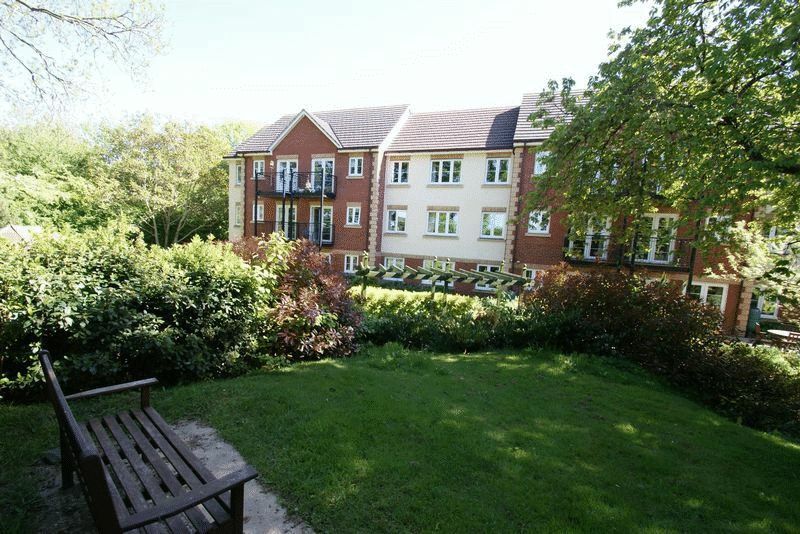 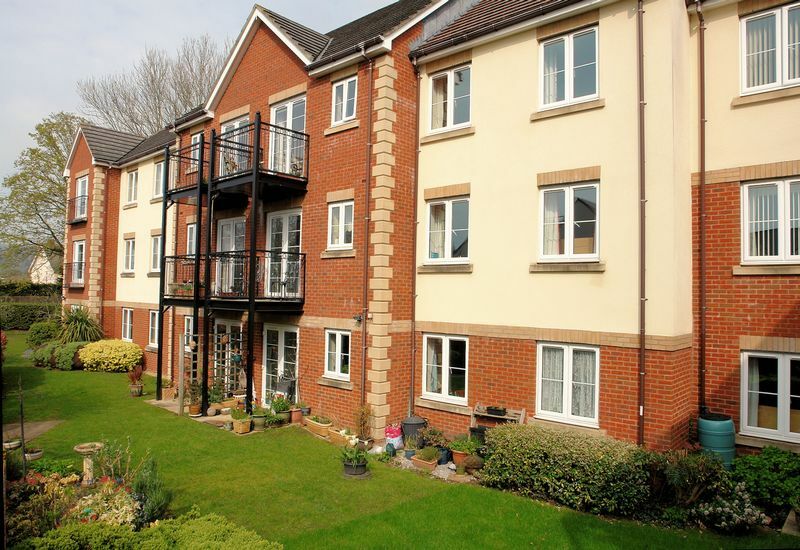 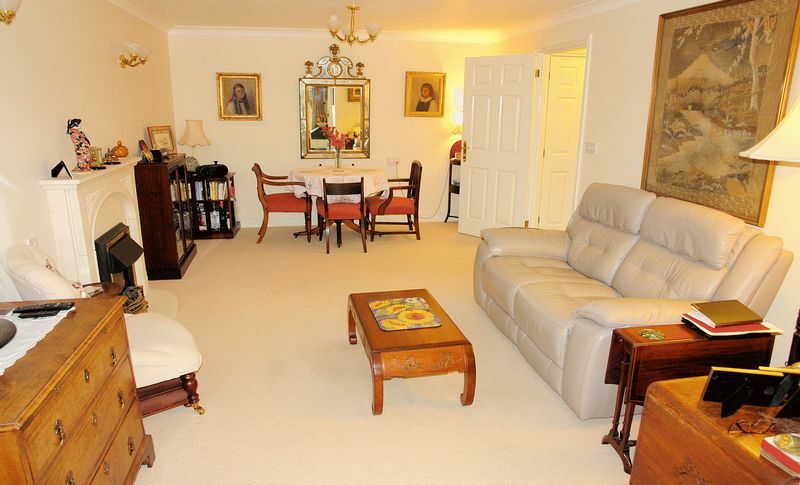 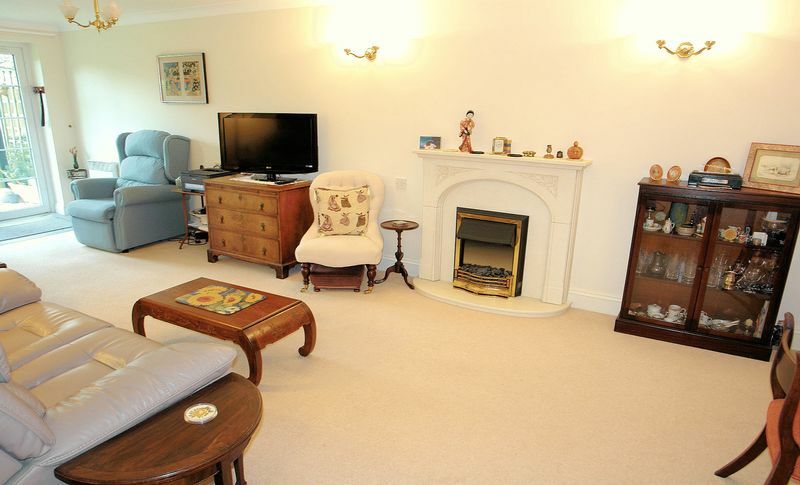 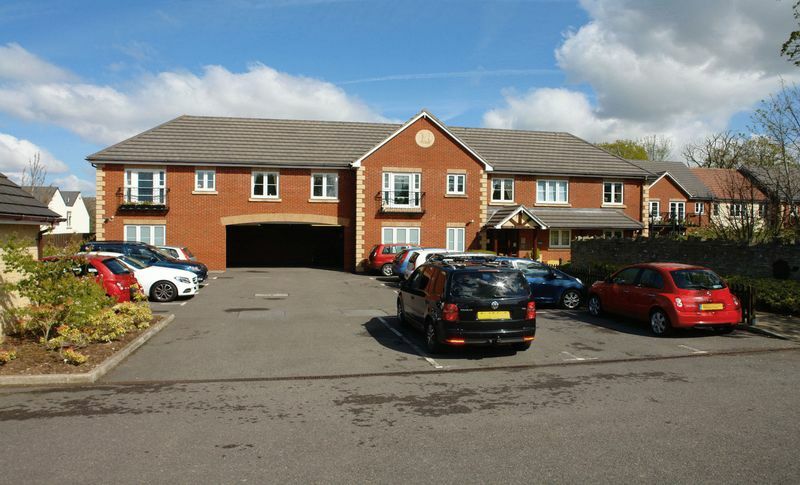 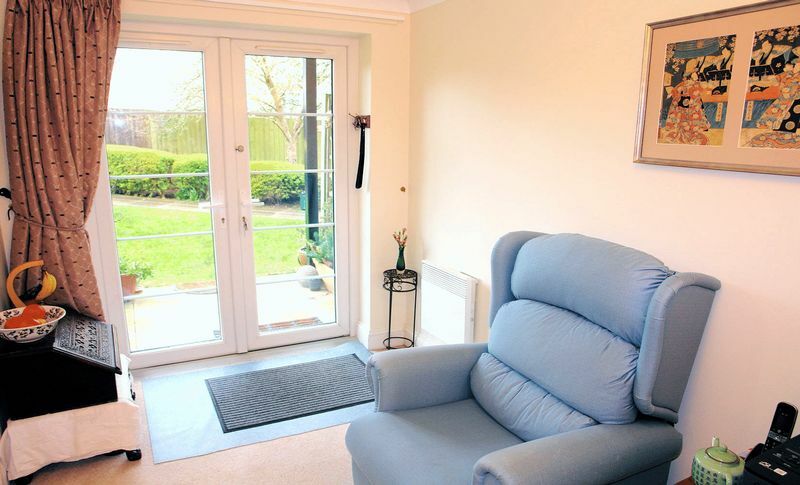 An outstanding garden level 2 double bedroom retirement apartment enjoying a lovely light west - south westerly facing position, quietly away from all traffic in this sought after development with French doors opening to a sheltered patio area and the gardens. 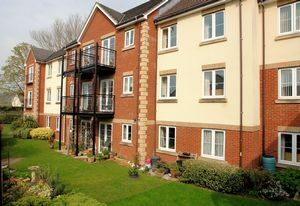 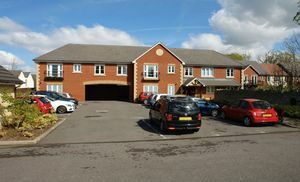 The apartments on this side of Pegasus Court are considered by most to be the best positioned 2 bedroom properties at Pegasus Court enjoying a sunny westerly aspect. Precisely the reason the present owners chose this apartment when new and why we are sure prospective buyers will be delighted by the property now. The property offers attractively designed accommodation that is very well presented with light neutral decoration, good built in storage space and a spacious full bathroom including a bath and separate shower. 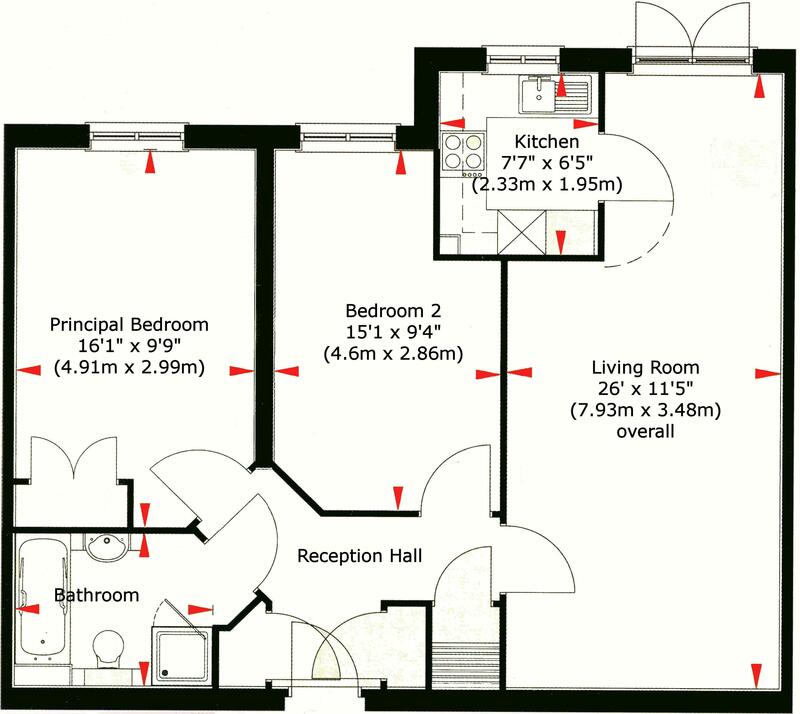 The private reception hall with three built in storage cupboards leads to the bedrooms, the bathroom and to the very appealing 26' (7.93m) living room opens to both the kitchen and via French doors to a private patio and the landscaped gardens. 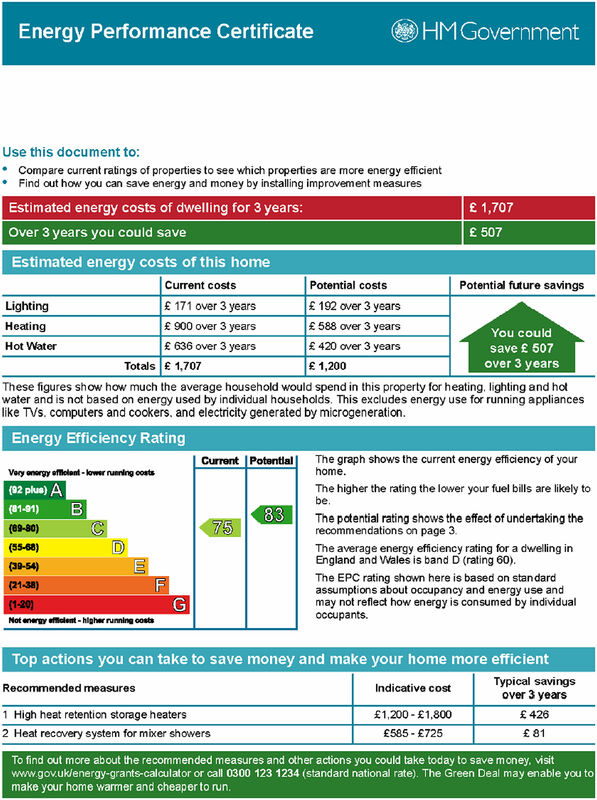 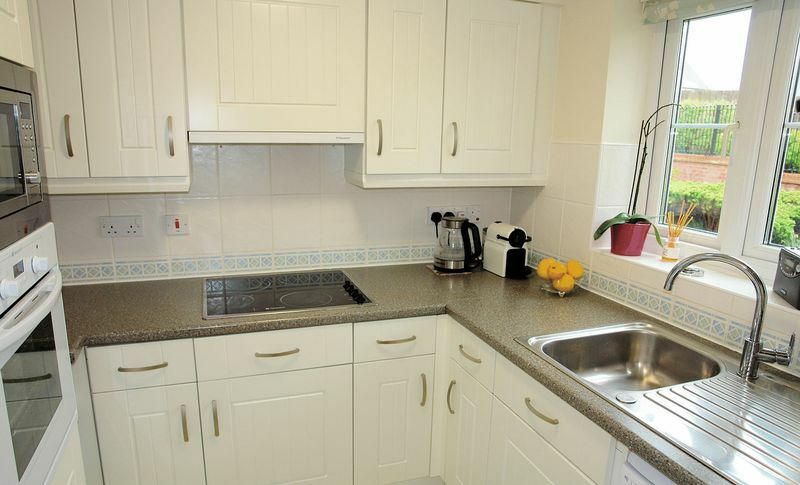 The fully fitted kitchen is equipped with a built in oven - grill, a built in microwave, an inset hob and the dishwasher and fridge freezer are available by negotiation. 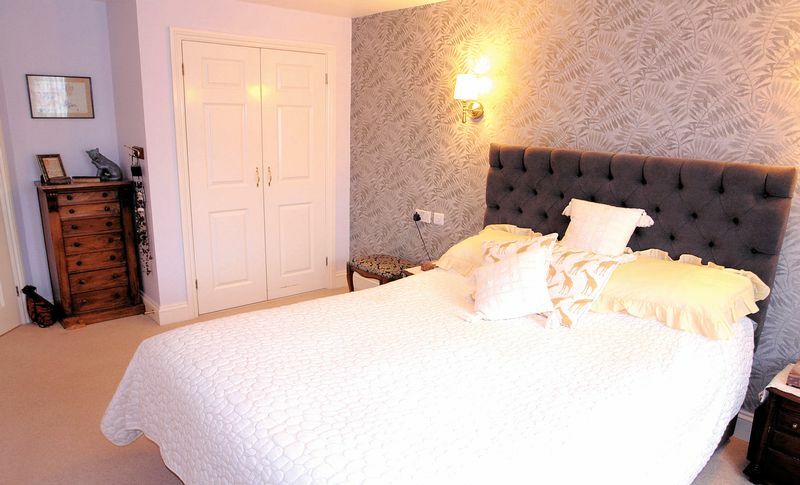 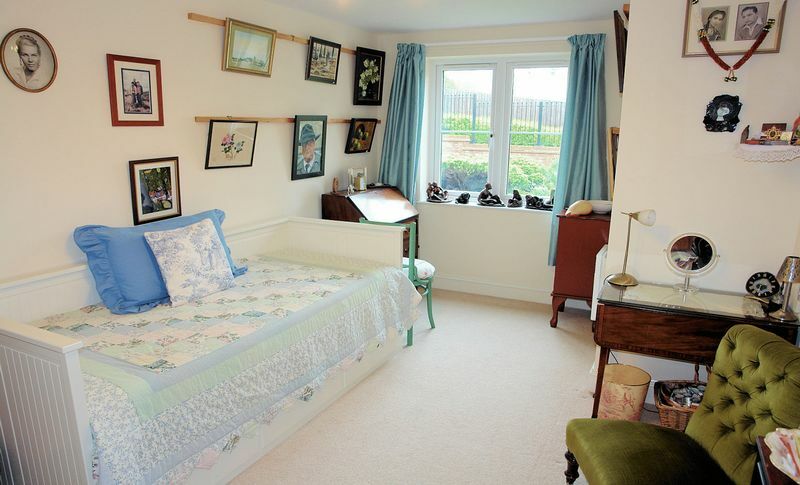 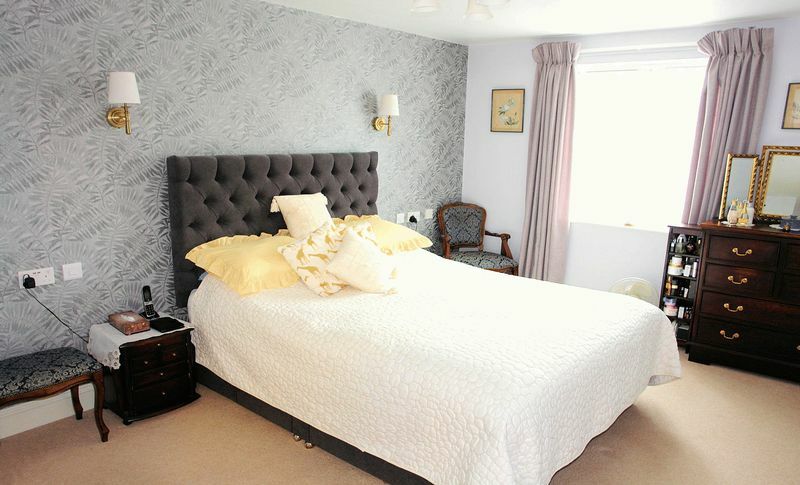 The bedrooms are equally attractive with both enjoying an outlook to the gardens and the larger principal bedroom having a fitted double wardrobe. 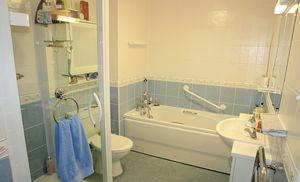 The bathroom is also well appointed with a full suite and floor to ceiling tiling. 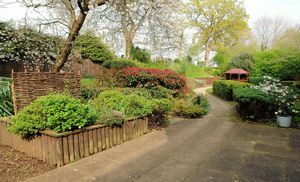 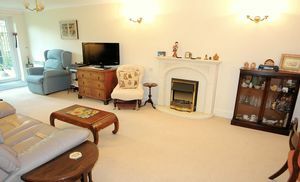 The picturesque gardens are arranged mostly to the rear of the building with sweeps of lawn, patio areas and a gazebo. 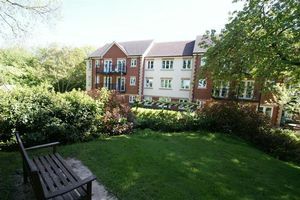 The lawns continue to the west side of the building where a more private area of garden, away from the residents lounge adjoins this and the immediately neighbouring apartments. 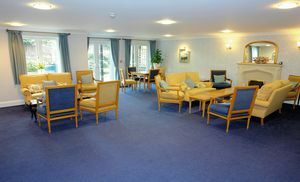 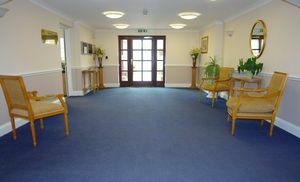 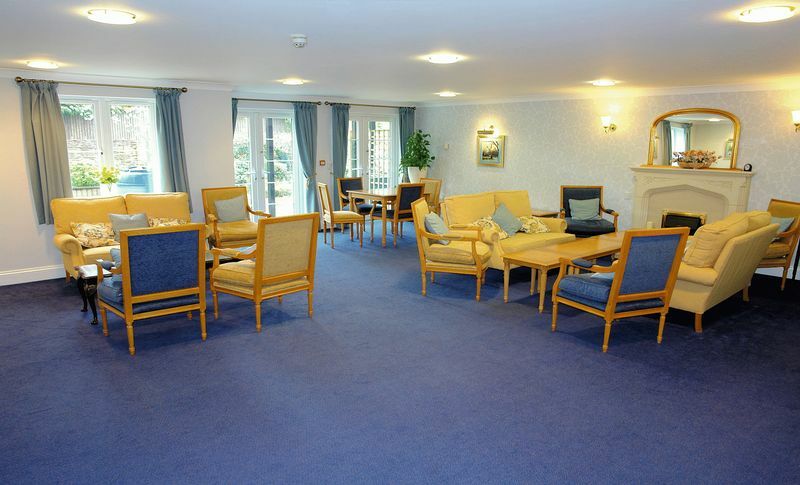 Pegasus Court offers a good selection of facilities with attractive well-lit and maintained communal areas, lifts to all floors (and stairs), a very pleasing residents lounge that can be used for private parties, a laundry room, a guest suite that may be hired for residents visitors and parking with under cover charging points for mobility scooters.